Alessi make ordinary household items…that are anything but ordinary. Their stunning range of weird and wonderful objects are designed to make everyday life a little more magical and a little more quirky – and have been since 1920! A collision of pop art, integral design, new technologies and playful characters, Alessi’s creations are among the most recognised in the world. And when it comes to kettles, few are as iconic as the 9093 Kettle. First designed by respected American architect Michael Graves in 1985, the 9093 Kettle has received a magical reimagining – and it’s called Tea Rex! 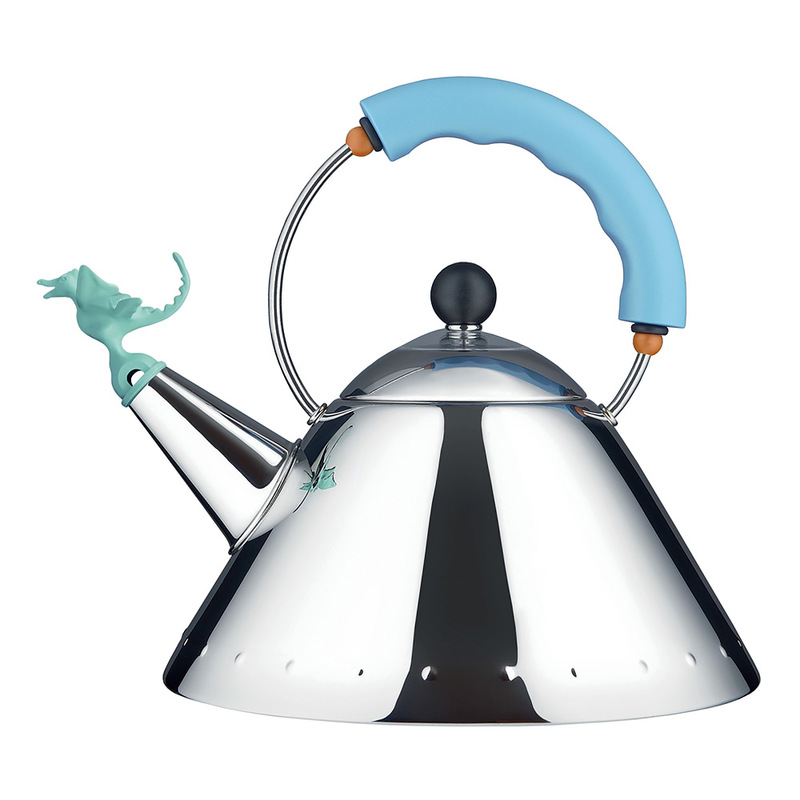 Made from high-polished stainless steel and colourful polyamide, the 9093 Kettle also features a colourful whistle in the shape of a dragon. It won’t screech when your water has boiled, but you’ll still hear a friendly whistle all the same, and know that you own a kettle with 30 years of Italian design heritage. Designed by American architect Michael Graves in collaboration with Alessi, Italy. Made from high-polished 18/10 stainless steel. Polyamide whistle will alert you when the kettle has boiled. Special rib on base of kettle for reinforcement. Suitable for induction, electric and gas stovetops. Colour: Light Blue (with light green whistle).